Icing sugar-like beaches, dazzling turquoise lagoons, rich green mountains, scenic panoramas, swaying palm trees, and continually smiling people... this is the dream of the Garden Eden, a dream that has come true on Laucala, in the magic cosmos of the Fijian Pacific archipelago. Welcome to the destination of your dreams! With an unmistakable commitment to nature and an unequalled combination of space, Fijian traditions, specially designed interiors, luxurious comfort, and the fluid transition from indoor to outdoor living, they pave the way for undreamt - of South Seas flights of fantasy – undisturbed privacy, with genuine Laucala luxury always included. Romantic candlelight dinners on the private beach, fine dining in the elegant Plantation House Restaurant, authentic special Asian delicacies in the Seagrass Restaurant, a spectacular Sundowner cocktail in the Rock Lounge, avant-garde finger food in the Pool Bar, or a barbecue in the Beach Bar that captures the tropical atmosphere. The broad variety of culinary rarities fulfils you every wish, as do the specially selected wines. The superbly stocked wine cellar and the wine lover's treasure trove makes the connoisseur's heart beat faster. Whether it's that great Burgundy, that morning cup of coffee, a fragrant croissant or the formal dinner, only the best is good enough for cuisine á la Laucala. 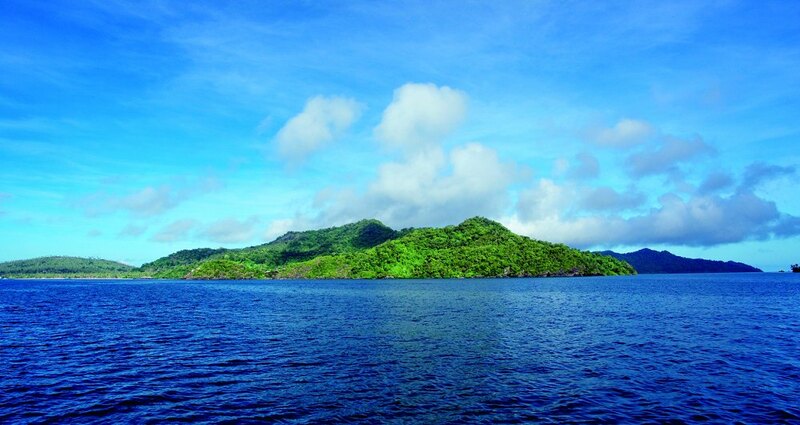 Laucala shows its most ethereal side in an iridescent kaleidoscope of sporting and cultural activities. Diving in a unique underwater world, rain forest tours, horseback riding, yachting, golfing on the 18-hole championship course, or meeting native artists – everything is possible on Laucala. But smaller guests are catered for as well. On Laucala the kids' club with its demanding programme is just as much a matter of course as the five thousand square metre pool and premium spa. Living on Laucala just means "going with the flow"! What a combination! The spectacular beauty of the tropical pearl of the South Seas and twelve square kilometres of space for privacy together with 25 luxurious residences and an integral philosophy that focuses on the original nature and culture of the multicultural inhabitants.